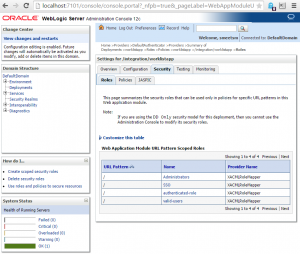 In this blog I will illustrate how you can configure Weblogic Server to use OpenLDAP as authentication provider and to allow OpenLDAP users to login to the Oracle BPM Worklist application. In a previous blog I have already shown how to do Weblogic Authentication with ApacheDS (LDAP and Weblogic; Using ApacheDS as authentication provider for Weblogic). 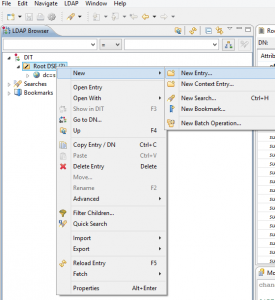 In this blog I will use OpenLDAP to also do BPM Worklist authentication. Oracle Platform Security Services (OPSS) supports the use of several authentication providers. See: http://docs.oracle.com/cd/E23943_01/core.1111/e10043/devuserole.htm#JISEC2474. OpenLDAP is the only open source provider available in this list. When you can use a certain provider for Weblogic authentication, this does not automatically mean you also use this user in Fusion Middleware applications which use JPS such as the BPM Worklist application. Possible authentication providers in Weblogic Server cover a wider range of servers and mechanisms than can be used in JPS out of the box. Custom can be any type, but mind you that if you specify custom, you will also need to specify an implementation of the oracle.security.idm.IdentityStoreFactory interface in the property ‘ADF_IM_FACTORY_CLASS’ and here you are limited or you have to build your own. 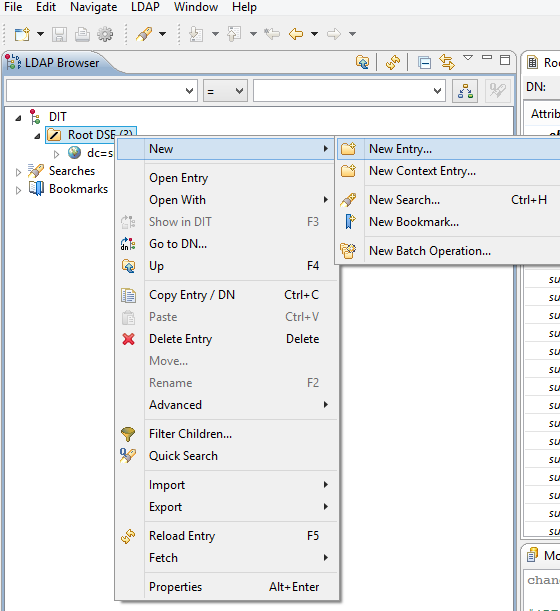 When using OpenLDAP, you don’t have this problem. This has been described on various other blogs such as https://blogs.oracle.com/jamesbayer/entry/using_openldap_with_weblogic_s and http://biemond.blogspot.nl/2008/10/using-openldap-as-security-provider-in.html. I’ll not go into much detail here, just describe what I needed to do to get it working. First install OpenLDAP. I used a Windows version since at the time of writing this blog I was sitting behind a Windows computer. http://sourceforge.net/projects/openldapwindows. There are also plenty of other versions. The benefit of this version (I downloaded 2.4.38) is that it pretty much works out of the box. I updated part of the etc\openldap\slapd.conf file which you can see below to provide my own domain and update the Manager password. The password (you can make a SSHA version of this by looking at https://onemoretech.wordpress.com/2012/12/17/encoding-ldap-passwords/) is ‘Welcome01’ in my case. There are also a couple of other references to the dc=example,dc=com domain in the config file and you should replace those also. I used Apache Directory Studio to add users in a graphical way (described below). The result I exported to the below ldif file (all passwords are ‘Welcome01’). 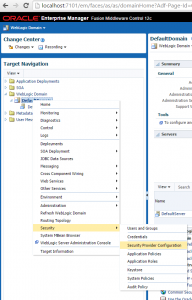 After you have done this you have a sample Administrator user and group available which will correspond to the below Weblogic Server configuration. You can save the below file in base.ldif. Download Apache Directory Studio from: https://directory.apache.org/studio/. First create a connection in Apache Directory Studio. Use the same login data as specified in the slapd.conf file. Next, right-click Root DSE. Add a new entry. Create from scratch. Add the ‘domain’ object class. This part has been described in other posts as well. I’ll just shortly repeat it here for thoroughness. Mind that the DefaultAuthenticator and your newly created authenticator should both have their control flag set to SUFFICIENT. 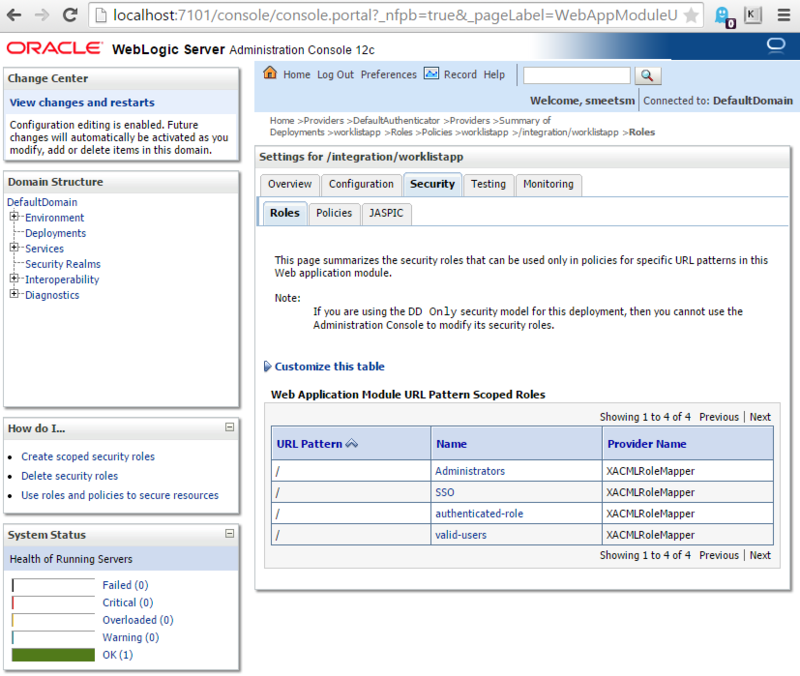 You can now use the new user to login to the Weblogic Console and Enterprise Manager. In this example I have added the user to the Administrators group. If you don’t want that, you can create your own group and add the users to that group. 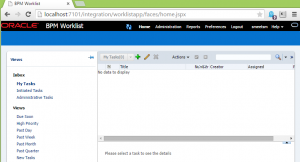 The user won’t be able to login to the Weblogic Console but using the worklist application will work if the below configuration is also done. You can enable LibOVD as specified on http://fusionsecurity.blogspot.nl/2012/06/libovd-when-and-how.html. 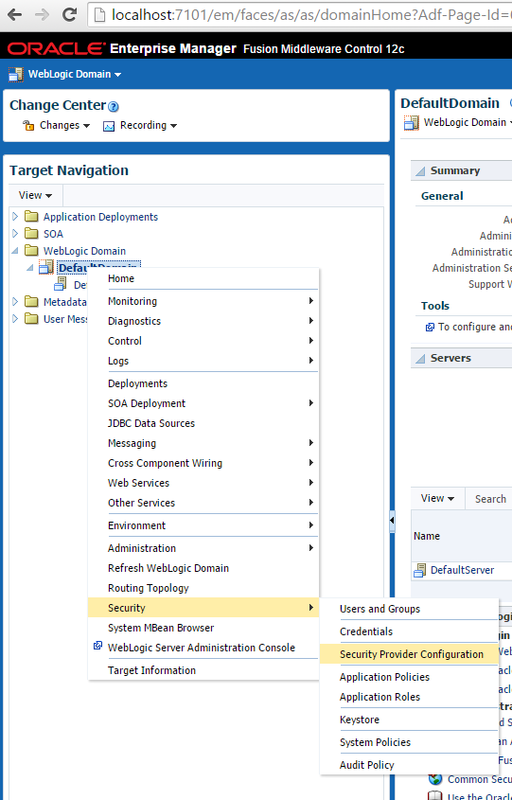 Set the virtualize=true property from the Enterprise Manager Fusion Middleware control. Click the arrow before Security Provider, Click configure and add the property. In order to allow people to login to the worklist application, they should be able to login or have a valid role as you can see in the screenshot below. You can of course also make this more specific. Thus after the virtualize=true property has been set (and the server has been restarted), you can add users to your OpenLDAP and they can be assigned tasks. I do recommend though when working with tasks to map the application roles to LDAP groups and not to specific users directly. This will make management of the users a lot easier at a later stage (especially when working with Organizational Units). Now you can use the Oracle BPM Worklist application to login and do things. You don’t have any assigned tasks though so you won’t see much yet but you can assign them to this user or the group it belongs to.